On Tuesday, May 8, 2018, during a teleconference, your Board of Directors reviewed Association policy respecting the receipt of applications from Veterans applying to receive the Generational Insignia and the Territorial Service Insignia. The Board elected to revise the policy from the original posture and have confirmed that the Association will now accept applications from all eligible RCMP Veterans, both those who are members of the RCMP Veterans’ Association, and those who are not. Veterans who are not members of the RCMP Veterans’ Association will not be required to become members, as a pre-condition of the Association to accept to process their applications. 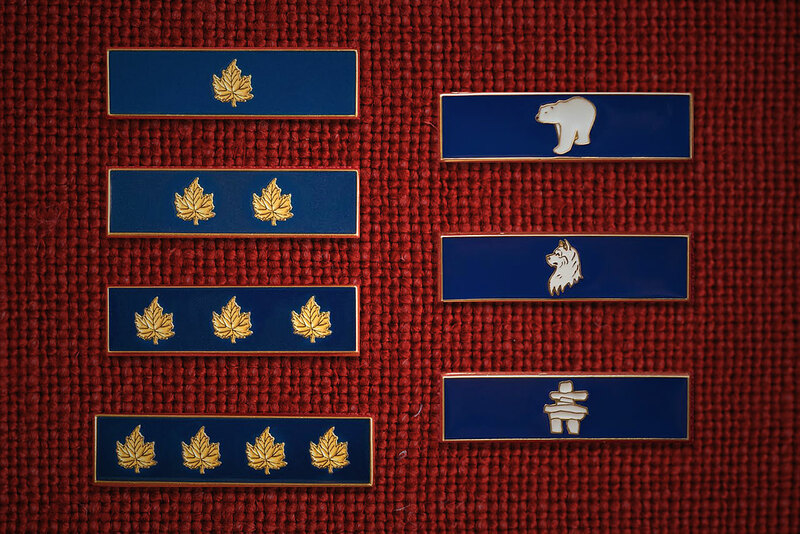 As before, all applicants – those within the Association and those who are not – will be referred to the Division closest to them (or to which they belong for RCMPVA members) to submit their applications. The surcharge rate for non-Association members will cover administrative and postal costs. CSM McCambridge is aware that we have revised our policy and that RCMP VA will now accept applications from all eligible RCMP Veterans for his review and approval as merited. Given the anticipated volume of applications, and recognizing that the program will continue and has no current end date, our capacity to process these applications on an ongoing basis will be challenged. Consequently, the Association office in Ottawa will hold applications as received from the Divisions until there is a sizeable quantity, before submitting them to the CSM for consideration. Another element of the process will be the production cycle timeline for the manufacturer. All this to say that Divisions receiving applications are asked to manage expectations with the applicants by advising them that the process and turnaround will be measured in months; not weeks. As noted previously, the Generational Insignia and / or the Territorial Service Insignia pins are governed by the Order of Dress. They are to be worn on the right lapel of the blue or red blazer. Where a Veteran has both Generational and Territorial Service Insignia pins, the Generational Insignia is to be worn on top, and the Territorial Service Insignia pin is to be worn immediately below. The Association Manual is being amended to reflect the proper placement of the pins upon the right lapel.